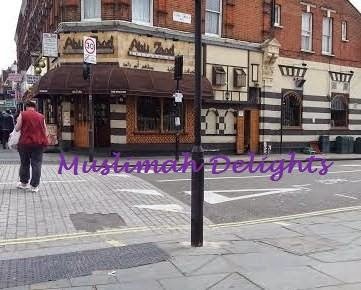 Nestled amongst the variety of stores surrounding Uxbridge Road/Shepherds Bush Market station we found Abu Zaad and decided to try this Syrian restaurant one Saturday afternoon. Inside it was quiet and as we sat down, the waiter/owner bought us our menus. Once we were ready to order he asked whether it’s our first time to which we replied yes, we’ve come from the other side of London. He was genuinely happy and asked how we came across the restaurant. 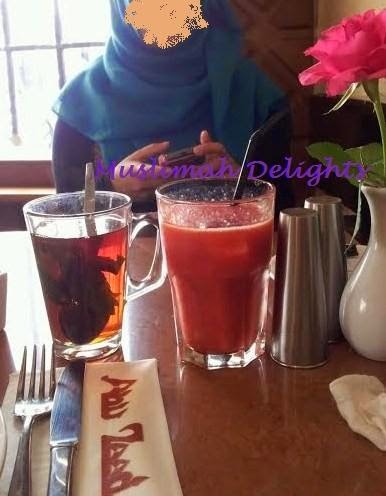 We ordered drinks – one mint tea and one fresh tropical juice. The juice was made fresh to order, nice and thick. Cooling for the warm day. The mint tea was lovely and refreshing. 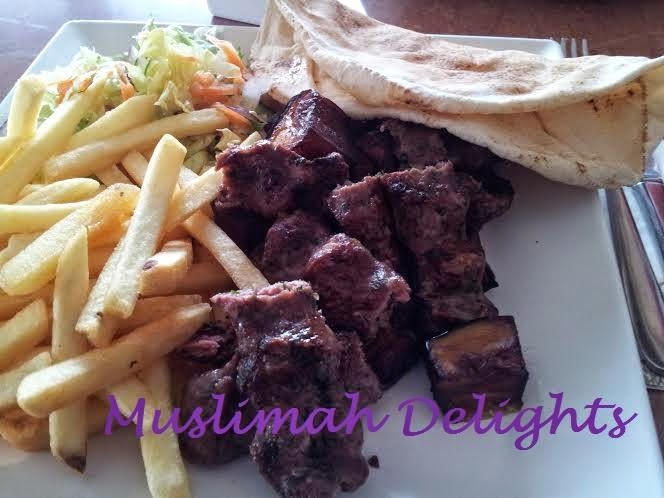 We ordered an aubergine kebab and a shish taouk which come with either rice or chips plus salad. We chose one rice and one chips. When they arrived woah, the portions were colossal! 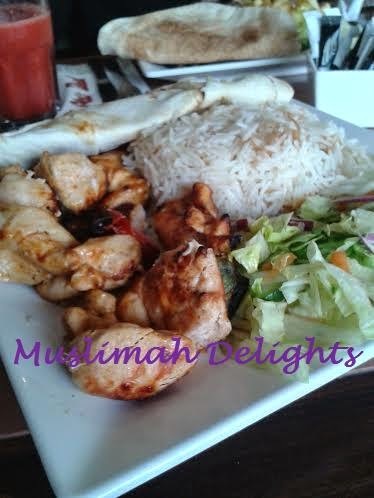 The cubed aubergines were grilled and fluffy on the inside and the kebab was well flavoured. The rice was seasoned, not bland as it had been cooked with meat stock and contained pieces of vermicelli. The chicken was soft and well cooked. We also got 3 types of sauces - mayo, chilli sauce and ketchup. The only downside would be that the chips were a tad oily. None the less, an enjoyable meal. One that couldn’t be finished. Upon leaving the waiter was kind to offer us something on the house as a warm gesture of us coming from the other side of town. 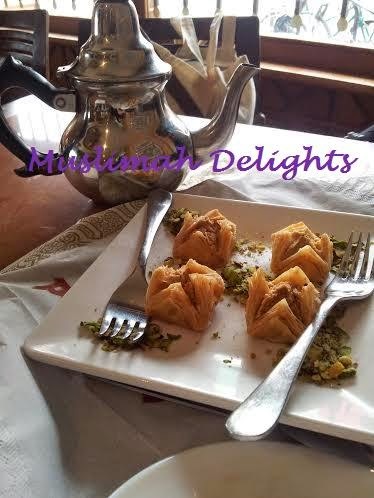 We were offered a pot of mint tea and baklawa. Awww. 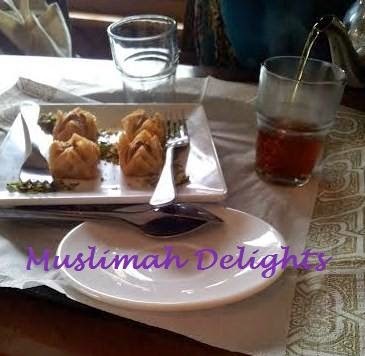 It was a really nice experience and there are obviously many loyal customers as could be seen when a family arrived to a warm welcome and had a chat with the workers when collecting their take away. The only thing I would think twice about is what I order/if I can finish it! Abu Zaad you were lovely!! 9/10.